New stars form in the dense turbulent gas clouds of galaxies. A wide variety of processes, with scales ranging from the size of a galaxy to the size of an individual star, drive interstellar turbulence and trigger dense cloud formation. The formation of these clouds is the subject of the IAU S237. This book is the most up-to-date review of all aspects of cloud and star formation. It summarizes the current state of understanding of triggered star formation in a turbulent interstellar medium. Topics covered range from observations and theory of turbulence in the ISM, to the formation of shells and young stars inside of shells, and molecular clouds, star clusters, and galaxies, all with a view toward understanding how star formation begins in these various environments. 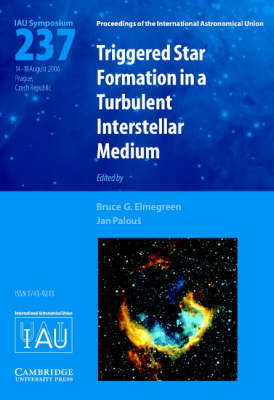 It is the first comprehensive overview of triggered star formation, and one of the few compendiums available on ISM turbulence.